Need a math problem solving strategy? Try CUBES or CUBED for solving math story problems. 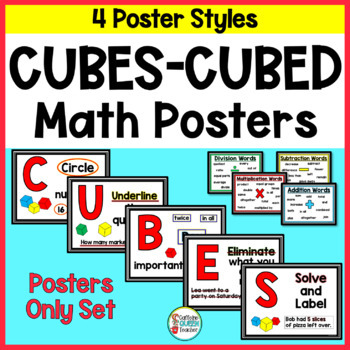 This CUBES math strategy poster set helps reduce stress for students. Students feel comfortable using a concrete method of problem solving. This set includes 4 different poster styles! The steps help students organize their thinking to more easily solve the word problems. 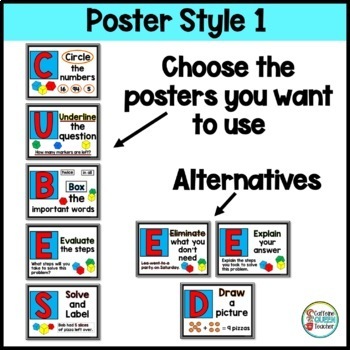 4 Styles of Posters featuring each letter in the acronyms CUBES or CUBED - Choose the set that you prefer! 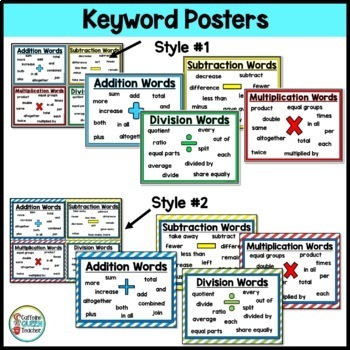 Key word posters for addition, subtraction, multiplication, and division - these posters will come in handy as you teach students about choosing the correct operation. 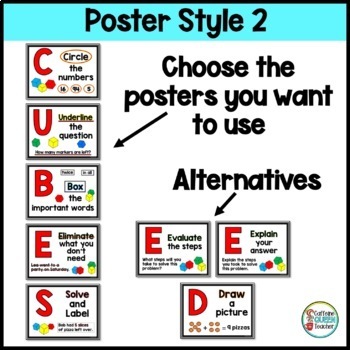 Small student-sized mini-posters for students to receive their own copy. They can be laminated or taped onto folders so that they last for the duration of the year.